In this first session participants have the opportunity to participate in an open discussion on the current state of affairs and the different positions in the debate on the rights of older persons. The chairman will collect different remarks and statements and structure them accordingly. In order to facilitate the collection of individual contributions and to guide the discussion in an interest-oriented direction, the participants of the conference have the opportunity to address their inputs via the event app Slido. Thus, all conference participants can be actively involved in the setting of the substantive topics of the discussion. Panel 1 is dedicated to technology, in particular robotics and automation. The fast progression in these field have revealed numerous possibilities but also challenges for older people to increase their participation in society as well as support ways to assure self–determined lives. It is the aim of the Panel, to identify promising inventions & solutions and discuss their contribution for older persons, as well as necessary legal considerations in regards to international standards. The panel is composed with experts from leading countries in respect of robotics and automation as well as competent counterparts in regards of international legal implications. The use of the event app Slido is recommended during the panel session, in order to obtain and collect important questions, remarks and statements. Panellists have the option to directly respond to the input and/or take issues further to the final discussion on November 13. Panel 2 takes the focus at Digitalization and Education. 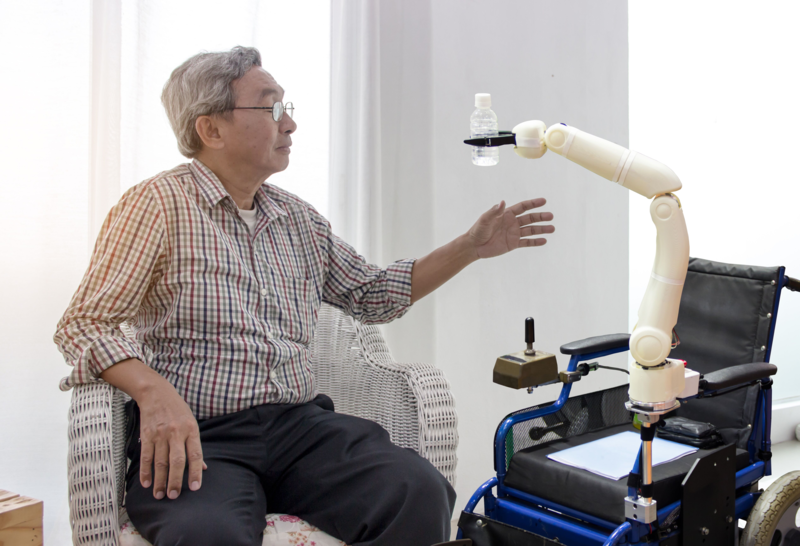 Experts from different countries with different technological and economic backgrounds will discuss the common need of a more successful integration of its elderly to today’s daily lives. This includes the possibility to expand the provision of adequate training for older persons, to assure their active participation in their social and economic lives. As best practice models have shown, learning is a lifelong process, which requires adequate formats in order to be accepted and in the end successful. Especially the provision of digital skills for older people requires extraordinary measures, as the range and speed of technological changes & developments are an additional obstacle for learning schemes. The panel aims to collect best practice models and discuss their advantages and obstacles. The use of the event app Slido is recommended during the panel session in order to obtain and collect important questions, remarks and statements. Panellists have the option to directly respond to the input and/or take issues further to the final discussion round following this panel. The final discussion will combine the results of the two panels and identify common denominators, which will be included in the conference declaration. The declaration will support the understanding of the participants to adapt measures in respect of technology, education and their implications for international legal standards. The issues raised at the ICHRoP 2018, as well as the conference declaration shall therefore be a guiding light in the discussions at the UN - Open Ended Working Group on Aging and similar international groups, organizations or meetings. A draft declaration will be presented at the beginning of the session, which should be finalized together. The use of the event app Slido is recommended during the final session in order to obtain and collect important questions, remarks and statements.